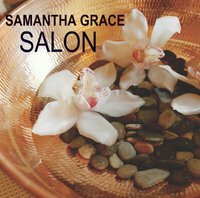 Samantha Grace Salon is one of the EXCLUSIVE salons in our area that carry organic hair care lines. Our salon and offers an array of services including hair styling, hair coloring, nail care, and waxing. Come in to our salon and enjoy a relaxed and tranquil setting while getting your service done. Our staff are professionally-trained experts on the latest products and techniques available in the industry. Our service and dedication to our clients is unsurpassed. Onesta is the "greenest and the cleanest." Onesta prides themself in keeping all their products free from harmful chemicals and as a vegan company Onesta does not animal test any of their products. Living up to their reputation of their literal meaning of honesty, Onesta donates 10% of their income to cancer research. All-Nutrient are made with certified organics. All-Nutrient hair color replenishes the vital nutrients color treated hair needs and protects hair from both UVA and UVB exposure. Made in the United States, All-Nutrient products are cruelty free. Curlinterrupted 2.0 The curlinterrupted system is a Keratin Smoothing System, that is formaldehyde, aldehyde,thio,and sodium hydroxide free. Making it one of the best Keratin Smoothing Treatments on the market today. The treatment will Elimate up to 99% of frizz and can loosen some curl as well. The product includes Murumru Seed Butter, Macadamia Seed Oil, and Camellia Seed Oil. Which makes the Brocato Curlinterrupted 2.0 one of the most natural Keratin Treaments on the market.